No. 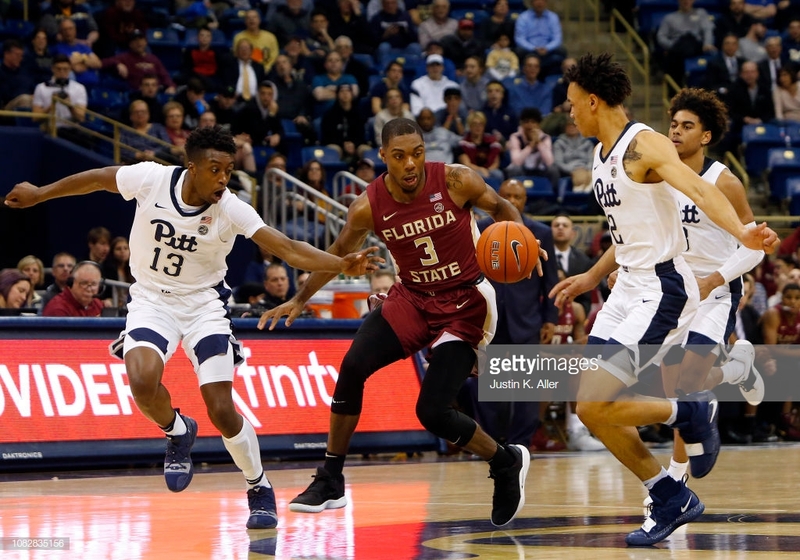 11 Florida State could get nothing to fall on Monday night as the Seminoles were stifled by Pittsburgh, 75-62. FSU (13-4, 1-3 ACC) got its first field goal of the night on a 3-pointer by Phil Cofer. From there, the Seminoles missed their next 19 attempts from deep, ultimately finishing 2-for-22 from beyond the arc. Both teams shot a shade below 35 percent from the field. The Panthers came in allowing more than 85 points per game in ACC play. While 3-pointers were few and far between on Monday night, whistles were all too common. The Panthers (12-5, 2-2 ACC) finished 38-for-46 from the foul line. Pittsburgh attempted as many free throws as field goals in the win. Pacing Pittsburgh was Trey McGowens, who finished with 30 points on 18-for-19 from the line. Xavier Johnson added 18 points for the Panthers while making all 10 free throw attempts. McGowens added five steals. FSU trailed 36-34 at the break and held its last lead at 45-44 with just under 12 minutes to play. The Panthers responded with a 16-5 run and never looked back. Trent Forrest scored 19 points to lead FSU in the loss with 11 of those coming from the charity stripe. The Seminoles made as many free throws on Monday night (20 on 27 attempts) as they did field goals (20-for-58). Terance Mann and Mfiondu Kabengele each scored nine for FSU in the loss. Kabengele fouled out. Christ Koumadje added seven points to go with game-highs of 11 rebounds and five blocks. FSU will have a longer rest but won’t get any closer to home when it returns to action on Sunday at Boston College. Pittsburgh eyes its first ACC road win as it travels to face Syracuse on Saturday.